The XIX Annual Food Festival of the Americas, hosted by the Organization of Women of the Americas, was held at the headquarters of the Organization of the American States (OAS) on May 21th . 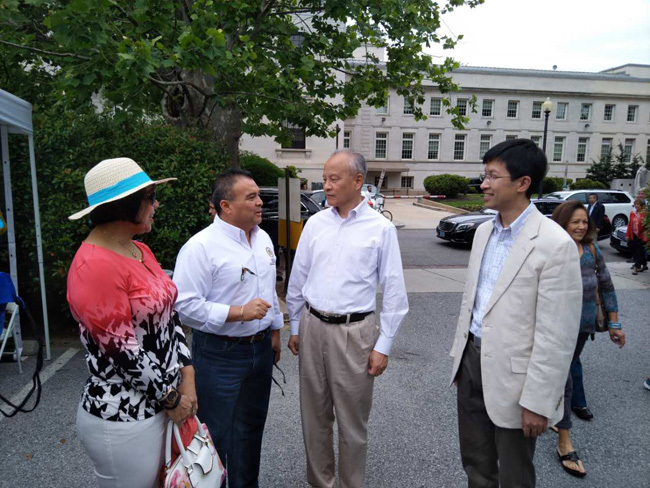 After attending the opening ceremony of the Food Festival, H.E.Cui Tiankai, Ambassador of China to the United States of America and Permanent Observer of China to the OAS, greeted and had friendly exchanges with the Assistant Secretary General of the OAS Nestor Mendez, OAS officials and diplomats of other countries. Mr. Mendez gave his appreciations to China for its active participation in the past years. 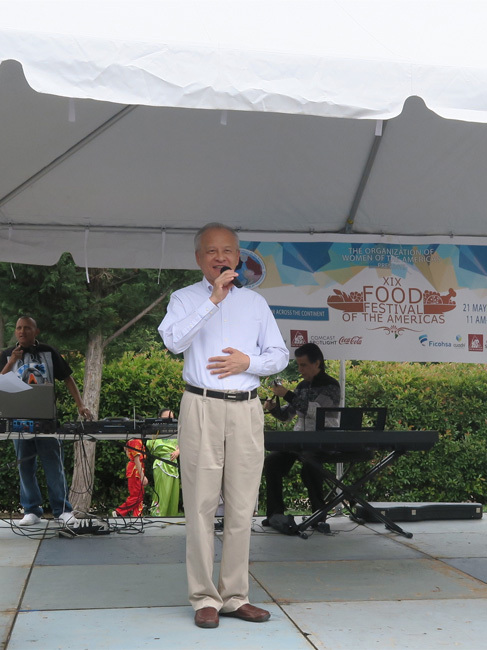 This was the 9th year for the Embassy of China to participate in this annual cultural event. In addition to the colorful decorations and traditional Chinese food, the Embassy has invited young performers from the O-mei Wushu Center in Virginia to perform a wonderful Dragon Dance and Kong Fu show. Mr. Antony Guo, a famous chef in China, made exquisite Chinese foods while the chefs of the Embassy made Chinese crepes on spot. The Chinese performances and food were deeply welcomed by thousands of local people and tourists. The Annual Food Festival of the Americas has been a very important stage for the OAS Member States and the Permanent Observer Missions to show their special cuisines and traditional culture. The participation of China gives a valuable opportunity to the American people to understand China's traditional culture and China's progress in modern times. Meanwhile, it also promotes cultural exchanges and cooperation between China and the OAS.